Jennifer Allaway invites game players and game developers to respond to a survey about diversity in video games. 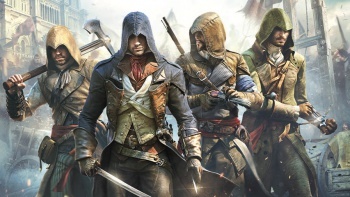 In June, players learned there would be no female assassins in the co-op mode of Assassin's Creed: Unity because of the extra work. Many criticized Ubisoft choosing not to have playable female characters in Unity, creating a #womenaretoohardtoanimate hashtag. Student researcher Jennifer Allaway is examining the relationship between players' desires for diversity and game developers' understanding of that desire, among many other topics, for a GDC 2015 talk. Allaway is using this situation as a case study for disparities among game developer expectations and player desires. The study comprises two surveys. One survey is specifically designed for players who are not in the games industry and asks consumers for their opinions on diversity in the games themselves, whether players feel represented in games, whether a discussion about diversity is important, and whether game developers are doing enough for diversity. If you are a consumer and would like to participate in Allaway's research, fill out the player survey here. Another survey is available for game developers and asks questions about target audience, opinions on how important diversity is to players, and predictions of players' behaviors surrounding diversity in games. Allaway will compare the two surveys to examine how effectively game developers are predicting the desires of players when it comes to matters of diversity of racial background and gender identity. Allaway believes this information will fill in missing information about how diversity affects games' profitability, games' content, and how companies are understanding or misunderstanding players. If you are a game developer and would like to participate, fill out the developer survey here. Allaway plans to present her findings alongside Sheri Graner Ray, owner of Zombie Cat Studios and author of Gender Inclusive Game Design--Expanding the Market, at GDC 2015.